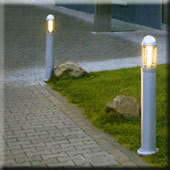 Wireless, unique bollard design with a white colored light output from 3W LED. 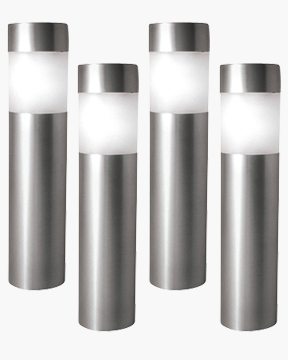 This fixture is all aluminum with a clear glass, vandal resistant, lamp shade. Perfect for entrances, parking lots, pathways or driveways. May be used in either a residential or commercial environment. Light output via a circular array of 3W high intensity white colored LED's within the lens section. This bollard fixture will simply bolt or screw down onto any solid, flat, horizontal surface as 4 holes are pre-drilled into the circular base plate. Color of light output is white. Color of fixture is black. 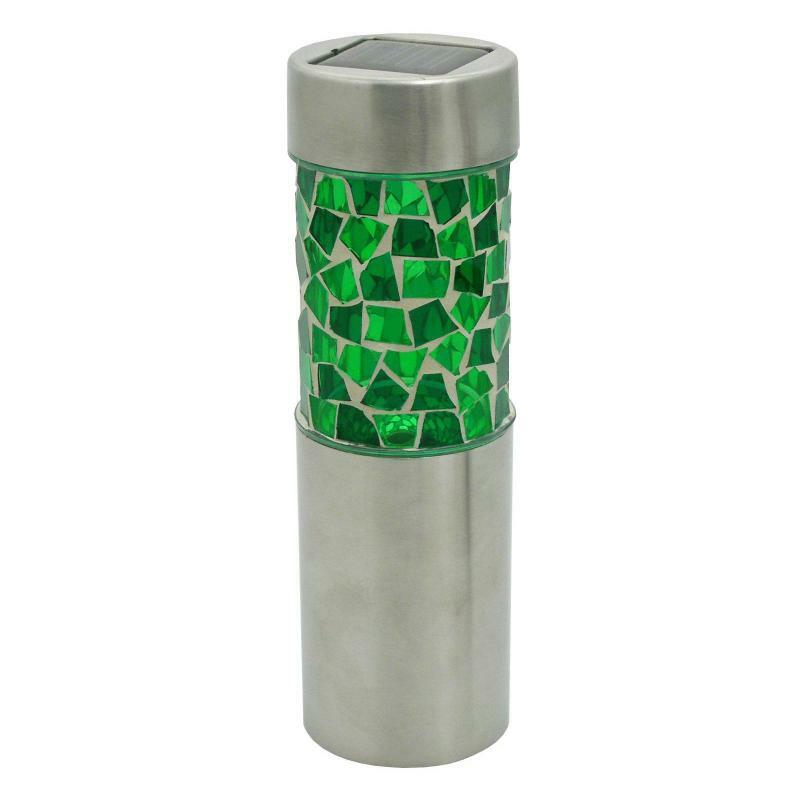 Mini sized, unique crackle glass bollard design with multicolor LED light output: white, green, blue, red, yellow, pink and etc. This fixture is all aluminum with a crackle glass lamp. Perfect for entrances, parking lots, pathways or driveways. 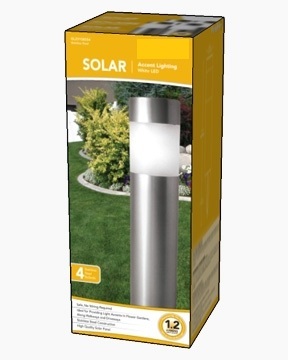 May be used in either a residential or commercial environment. Light output via a circular array of two high intensity white colored LED's within the lens section. This bollard fixture will simply spike down onto any solid. 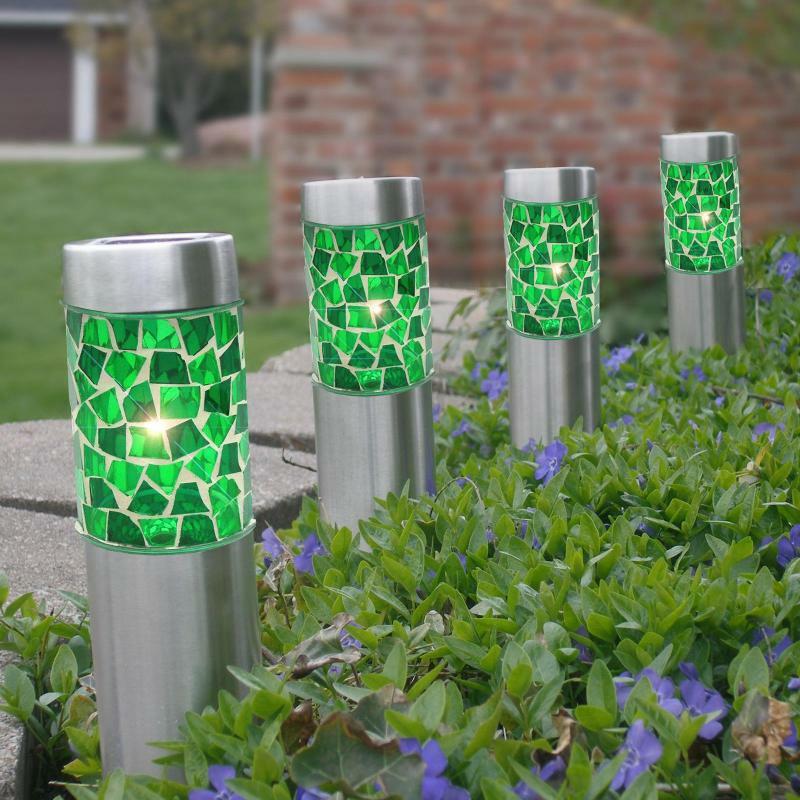 The unique Solar Mosiac Bollard design with mosiac glass. This fixture is all aluminum with a crackle glass lamp. Perfect for entrances, parking lots, pathways or driveways. 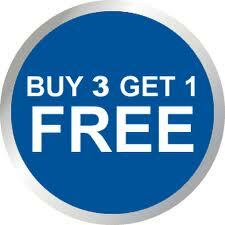 May be used in either a residential or commercial environment. Light output via a circular array of two high intensity white colored LED's within the lens section. This bollard fixture will simply spike down onto any solid. A 'select switch' allows programming lighting from 1 hour to 15 hours.